Whether you’re looking for flooring for a residential or commercial property, timber flooring is the perfect addition to any setting. It adds warmth and style as well as an inherent elegance, the combination of which will add instant value and attraction to the area in which it is installed. 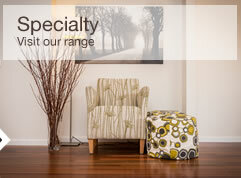 Kemellies is one of the top timber flooring Geelong provider and all our customers will attest to our dedication and passion for what we do. 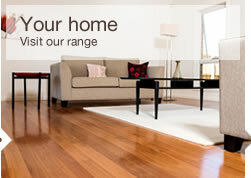 We offer a wide range of various types of timber flooring as well as bamboo flooring and specialist parquetry flooring. In addition, we also offer our customers the opportunity to choose engineered timber flooring, a style that has seen a surge in popularity in recent years. Engineered timber flooring is a type of timber flooring that is constructed by compressing a number of layers of wood together. This compression results in an extremely strong and stable timber floor that is considered to be better than traditional solid tongue and groove timber flooring. With respect to finishes for the top layer of engineered timber flooring, oak is an extremely popular option. Oak has a beautiful texture and appearance that makes it stand out and when there is a colour or stain applied on top of the oak, its natural variations are considerably more highlighted. Engineered timber flooring can be glued directly to your concrete or timber base; a move that gives the same appearance and texture of a solid wood covering. While solid timber flooring looks just as good as its engineered counterpart, it is much more stable. This is because solid timber flooring is susceptible to its environmental conditions. For example, solid timber flooring can shrink when exposed to moisture, which creates gaps between each timber board. However, as engineered timber flooring is resistant to such shrinkage due to its construction and the use of modern technology in that construction, you can be assured that your engineered timber floor will retain its appearance and structure. For those of you who are concerned about the environment, you will be glad to hear that engineered timber flooring can be produced using up to 10 times more flooring per tree than solid hardwood timber flooring. This makes it the sustainable, more environmentally conscious choice of flooring. Our engineered timber flooring is available to customers in Melbourne, Ballarat, Colac, Bendigo and all of their surrounding areas. 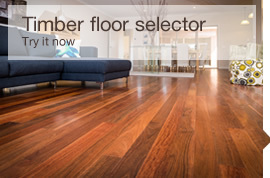 We also have a fine showroom in Geelong where you can see how the different types of timber flooring (including our selection of engineered flooring) look in person. Here, you can also speak directly to a member of our experienced team who will be able to advise you in any way that you require. 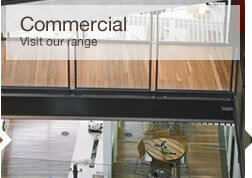 You can also contact us by telephone on (03) 522 8425 or by getting in touch via our online contact form. No matter how you choose to get in contact with us, make sure you do – we’re looking forward to hearing from you and assisting you with your flooring requirements.